Danshig Naadam Khuree Tsam is part of the nation’s biggest religious and cultural festival. The Danshig Naadam festival will occur from August 4-5th in 2018. It represents religious importance and Buddhism’s influence on the people and culture of Mongolia. In addition to the variety of Buddhist rituals, spectators can enjoy many competitions and spiritual debates among monks. This festival takes place in Khui doloon khudag. Cultural activities and competitions such as the Three Games of Men, the religious mask dance ceremony of Tsam Dance ceremony, competitions of balinch and unzad golch lamas, and debates on Buddhist teachings take place, and make this festival a rich and interesting experience for all. Tsam dancing is a subtly complex ritual performance which requires significant study and training. Visitors will be transfixed by combination of music, dancing and the intricate and stunning masks, known as tsam masks, worn by the dancers. The revival of Danshig Naadam was based on historical records, including the detailed record of a person who witnessed the coronation of the Second Bogd in 1728. The tradition of celebrating Danshig Naadam, was forgotten for about one hundred years, and saw its revival at the Mongol Naadam Complex on the occasion of the 380 birthday of Undur Gegeen (High Saint) Zanabazar. It is great to have such a meaningful and majestic celebration organized annually from now on. Balin is a sacrificial food shaped like a pyramid stupa, to be placed in front of a god. It is made of fried barley flour. The Tsam Kharaik ceremony was introduced to Mongolia from Tibet in the 18th century. Each movement of tsam is a gesture to chase out bad luck and has ceremonial significance. It requires many months of preparation under the guidance of experienced and high ranking lamas to stage a dance. 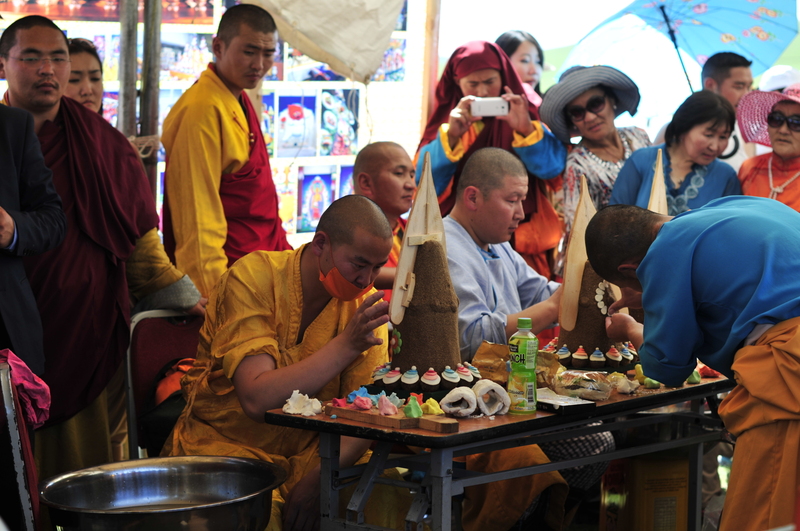 Lamas, who are prepared by producing scriptural work, blessing balin, takhil making offerings for worship and masks to be used for tsam for four days prior to the tsam dance, chant and dance tsam for three days in the monastery. On the last day, they dance outside. From the History of Danshig Naadam Mongolia recorded a period in its history with no khan until 1911, after the death of Ligden Khan, the last Khan of the Mongolian Empire, in 1634. 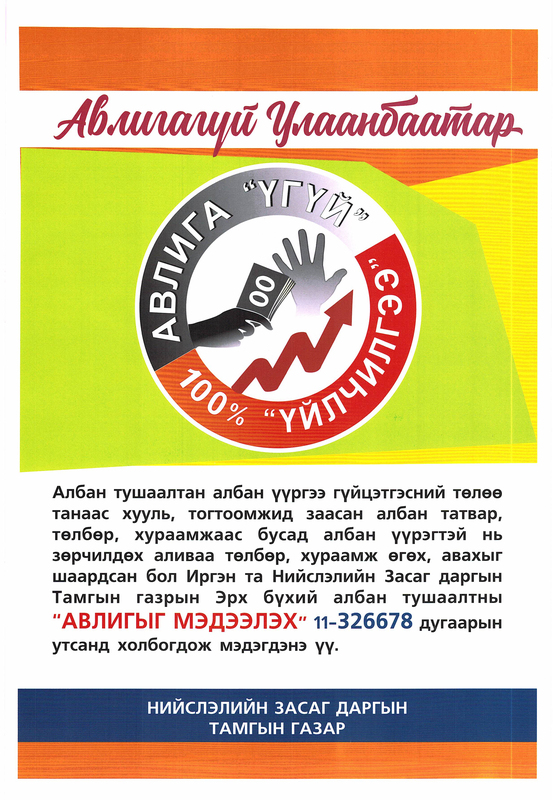 During this harsh period, Danshig Naadam united the scattered nation in the minds of Mongolians. 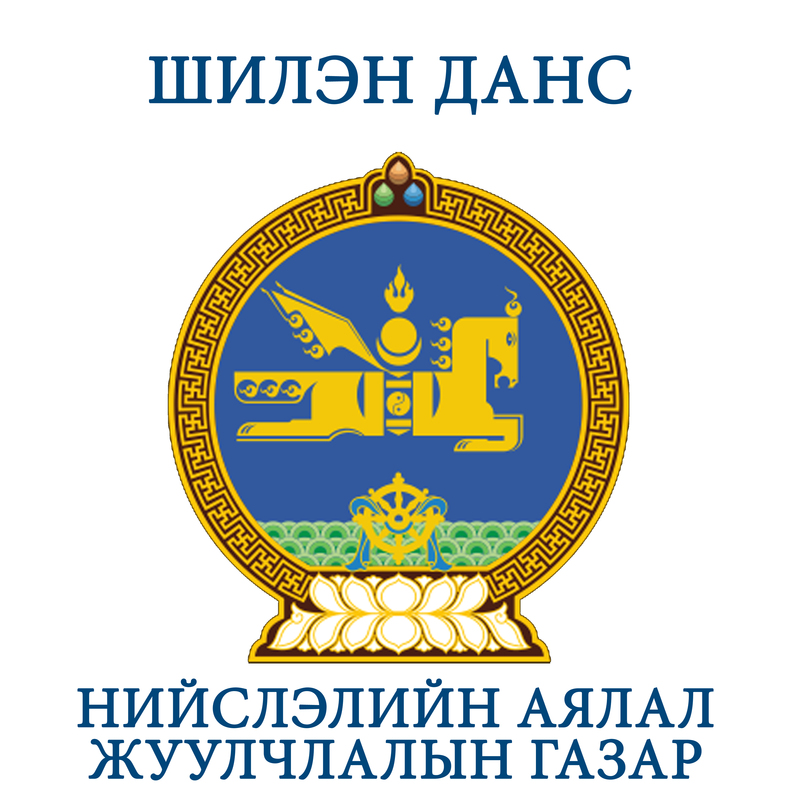 It made them understand that they were the owners of their territory, religion, and culture, and it symbolized the sovereignty of Mongolians, the independent position of culture and religion, and unique ways of thinking. The first Bat Orshil Urguh, or Danshig Naadam, had historical connections with the First Bogd Under Gegeen Zanabazar and the establishment of the capital city. 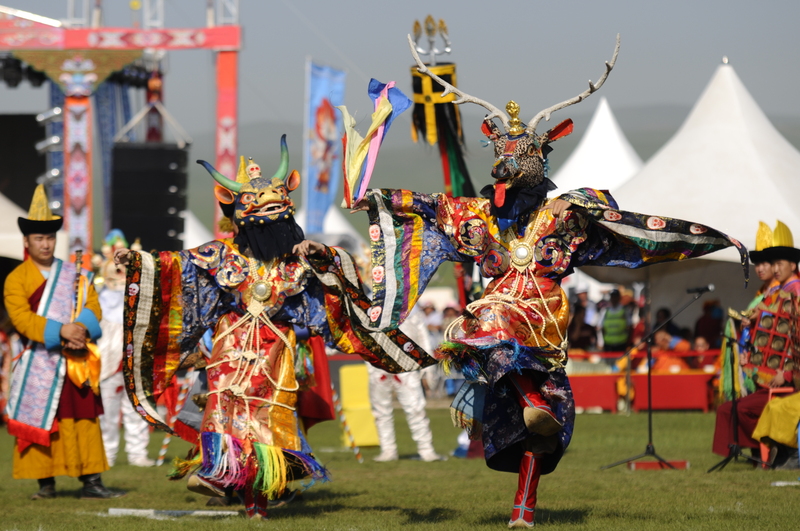 Danshig Naadam was organized for the crowning Zanabazar, the five-year-old son of Tusheet Khan Gombodorj and a direct descendant of Great Chinggis Khan, as the First Bogd Jebtsundamba Khutagt. It was celebrated in 1640 in a place named Shireet Tsagaan Nuur. Since this first festival, aristocratic nobles of the seven Khoshuus of Khalkha, scholars and wise men, religious leaders, and the public were united. 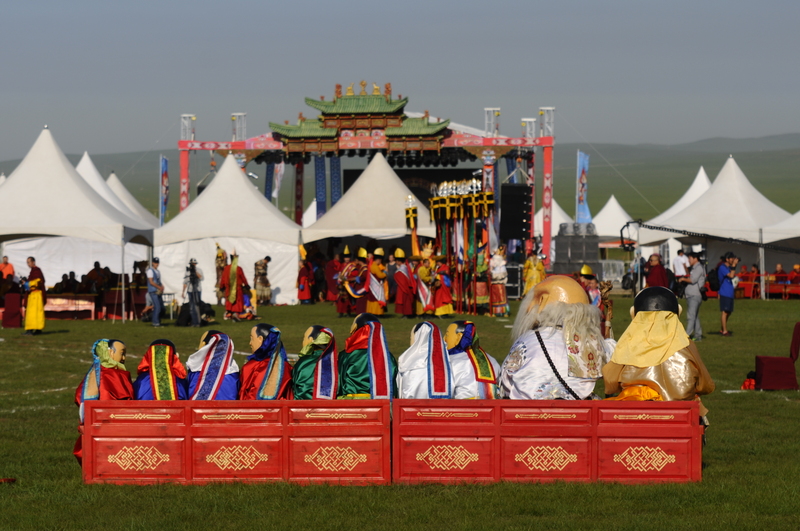 Since this first festival, the Khalkhas were united and grew stronger by supporting the First Bogd Undur Gegeen. A young lama won the wrestling tournament of the first Danshig Naadam, and he was known as the Wrestler Lama from then on. Bonkhor’s horse won the first horse race. Since then, a rule was set to provide titles and names to Naadam’s winning wrestler and horse, and Khalkha Doloon Khoshuu Naadam became a regular event. During Danshig Naadam the influential leaders who were gathered together discussed state affairs as well. In 1910, the influential nobles and lamas secretly gathered in Nukht Cave of Bogd Khan Mountain. They agreed to revive the sovereignty of Mongolia and to ask for assistance from the Tsar of Russia. Subsequently, they appointed Khanddorj Chin Van, Da Lama Tserenchimed, and Inner Mongolian scholar Khaisan, and made important decisions for the independence of Mongolia. The revival of Danshig Naadam kept Mongolians safe from forgetting and losing its invaluable cultural heritage, and we invite you to share this celebration with Mongolians, foreign guests, and friends.